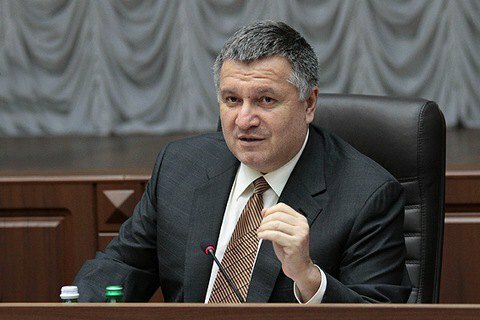 Arsen Avakov apologized for the actions of law enforcers. Interior Minister Arsen Avakov fired the Chief of Dnipropetrovsk Oblast police department Ihor Repesko and Dnipro city police chief Andriy Bidylo. "After preliminary consideration of the incidents and provocations in Dnipro yesterday morning [9 May], I have ordered the dismissal pf Chief of the Police Department of Dnipro Oblast, Gen. Repesko, the Chief of the Dnipro Police Department, Col. Bidylo, and their deputies in charge of public order protection," the minister wrote on Facebook on 10 May. A massive fight broke out during the May 9 celebration in Dnipro. As several dozens of activists and ATO veterans demanded that the marchers supporting the Opposition Bloc headed by Oleksandr Vilkul refused using the symbols of their party. In response, the marchers along with the police attacked and severely beaten the ATO activists. A departmental commission headed by the chief of the Internal Security Directorate of the National Police will investigate the course of actions of police in the city on 9 May. Also, a special investigative group has been sent to probe into the actions of civilian marchers and their coordinators. In conclusion, the minister apologised for the incident and stated hopes that the Dnipro police and politicians will learn this lesson well. The Mayor of Dnipro, Borys Filatov told reporters that the police acted inadequately, and threatened to establish a "junta" rule in the city. Prosecutor-General Yuriy Lutsenko pledged that those guilty of beating ATO veterans on 9 May 9 will be prosecuted. He said eight hired thugs from Vilkul's column have been detained. Mayor Filatov objected, however, by saying that almost all of the detained thugs have been promptly released from custody.